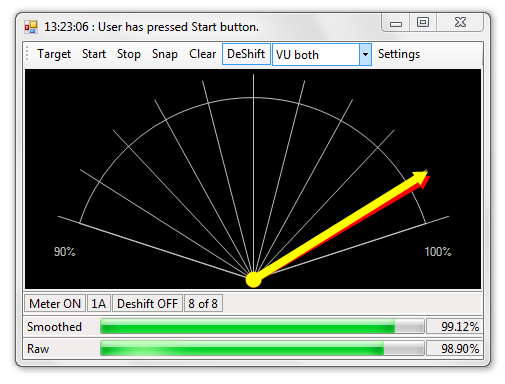 Dave’s Focus Meter gives you a visual indication of just how sharp your current video screen or image is. It will work with any video source, live or recorded, and any image format. It is designed for astronomy, microscopy, security and any area where precise focus is important. Single application covers Windows XP, Vista, 7 (both 32 and 64 bit versions). Multiple focus analysis methods to suit different subjects. Can monitor focus of point sources (stars) or surface features (craters, sunspots, planets, prominences, cells). Cancellation of image shift induced by optical train during focussing. 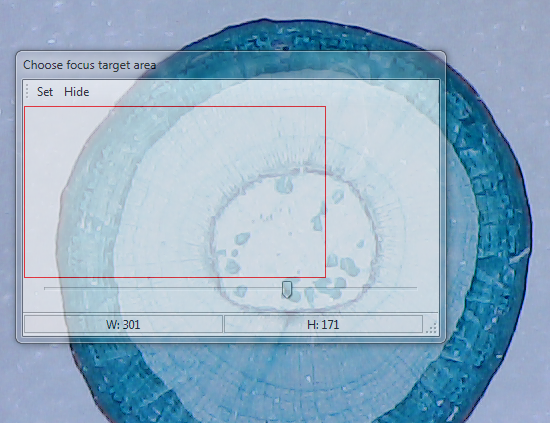 Focus meter results displayed in raw instantaneous and smoothed modes. Real time graphs of focus history. 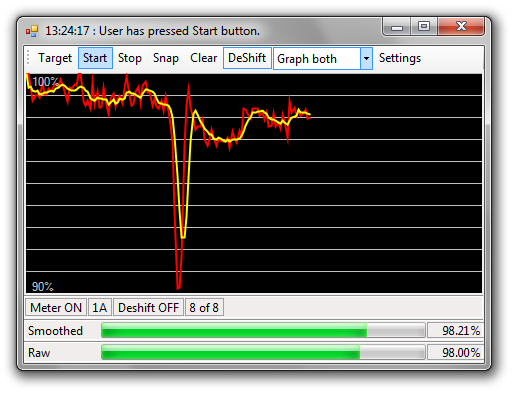 User selectable area to meter focus on. 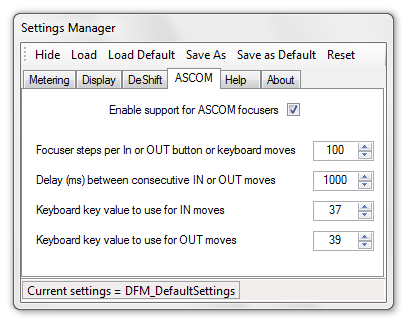 Full control of ASCOM motorised focusers – relative and absolute types. ASCOM In and Out buttons. Settings manager allows different profiles to be saved for different equipment and targets. A selection of screenshots are below.